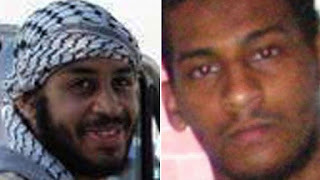 Two British Islamic State fighters - part of a group nicknamed 'the Beatles' - have been captured in Syria, US officials say. Alexanda Kotey and El Shafee ElSheikh were detained by Kurdish forces in Syria and have reportedly revealed "valuable information" on the IS leadership and structure. The Londoners were the last members of the bloodthirsty group of four Britons still at large. Along with 'Jihadi John' Mohammed Emwazi and Aine Davis, they are believed to have tortured and beheaded dozens of people.